Blogs » Thailand Medical Vacation? Thailand had been the hub of medical tourists for more than a decade. With its unique culture, tongue-twisting language, perfectly sunny weather, and well preserved historical sites and temples, the country en masse a great portion of its GDP from the tourism industry. In 2012 alone, a record-breaking 22Million (from the Ministry of Tourism and Sport) tourist from different parts of the world visited the kingdom. 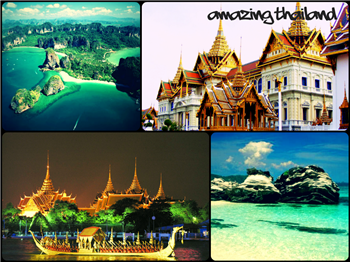 The Tourism Authority of Thailand is actually projecting another exponential growth for 2013 with their projections reaching up to 24.5Million. Travelers may cross another country for a number of reasons, one of which is medical tourism. Medical tourism is a tourism trend characterized by people crossing international borders to combine medical treatment and travel or leisure. In the same year, 2012, the Ministry of Health in collaboration with Kasicom Research Center reported a figure of 2.53Million medical tourist while the Tourist Authority of Thailand gave a hugely different figure of 700,000 to 858,000 tourists. The difference in their statistics, however, couldn’t deny the fact that medical tourism is also significantly contributing positively to the country’s economy. With this statistics available over the internet on government websites, it’s no wonder neighboring countries are also trying to get a slice of the pie. Malaysia and Singapore are now gearing towards further developing their marketing strategy and medical tourism campaign to attract foreign patients to their country but the question is why is Thailand still tourist-bees’ favorite nectar? 1. Good Reputation: Thailand is not new with medical tourism. As a matter of fact, in 2002, Thailand became the first Asian country to actually get Joint Commission International (JCI) Accreditation, one of the most well respected accrediting body in the health sector. Over the years, other hospitals followed suit to continuously improve the quality of their services thus adding to Thailand’s trust rating in terms of medical services and cosmetic and plastic surgery as well. 2. Highly Skilled Doctors and Surgeons: Most doctors and surgeons in Thailand received medical training not only in our country's well-respected universities, but all over the world, especially in the field of cosmetic surgery. Thai’s love for cosmetics may also have contributed a lot in our surgeon’s expertise in this branch of medicine. 3. Technological Innovation: Thailand is probably one of the most up to date country in Asia when it comes to medical technology as our country really aims to be the medical hub of Asia. You will be surprised that the machines available in US and Europe are also being used by hospitals in Thailand at a fraction of the cost, with a more luxurious setting. 4. Cost Effectiveness: In most countries, performing a medical procedure especially cosmetics, can buy you a round trip ticket to Thailand, pay for the whole procedure with your accommodation, and indulge in Thai style luxury. For those who are looking to save more, immersing into the average lifestyle of the locals can give you more of your money's worth. 5. Excellent Service: Thai people are naturally warm and friendly. Upon entering even a small restaurant, every staff will greet you with their warmest “Sawadee”. In terms of medical practice, you can see the independence of their nurses and the competence of their medical staffs from simple to complicated medical procedures. Most hospitals also come affiliated with hotels and transportation providers with translators and staffs who are excellent in English, making it easier for a medical tourist to go by the whole process. 6. Perfect get-away destination: Thailand is also one of the shopping capitals of the world, both for brand lovers and for those looking for great bargains. Countless of tourists visit the county’s capital to buy unique items that are only found in the shops of Bangkok. Breathtaking beaches are also within 2 hours from the capital and fantastic cultural heritage sites are well preserved even within the city. Though medical tourism is still an arbitrary business, the Thai government has its full confidence and support that they can turn the country into the medical capital of Asia. In line with this, the county is also opening more business in related industries such as spas, massage centers, holistic centers, and anti-aging centers. The latest innovations in the health industry like embryonic stem cell banking is also now available in selected centers and many other health related researches are underway to further add to Thailand’s collection of state-of-the-art medical and surgical services.